Today, we mourn the loss of Dr. Benjamin D. Hall, whose impact on the world and the University of Washington is both lasting and profound. Over a career that spanned more than 60 years, Ben made groundbreaking discoveries that changed the course of medicine and saved millions of lives. 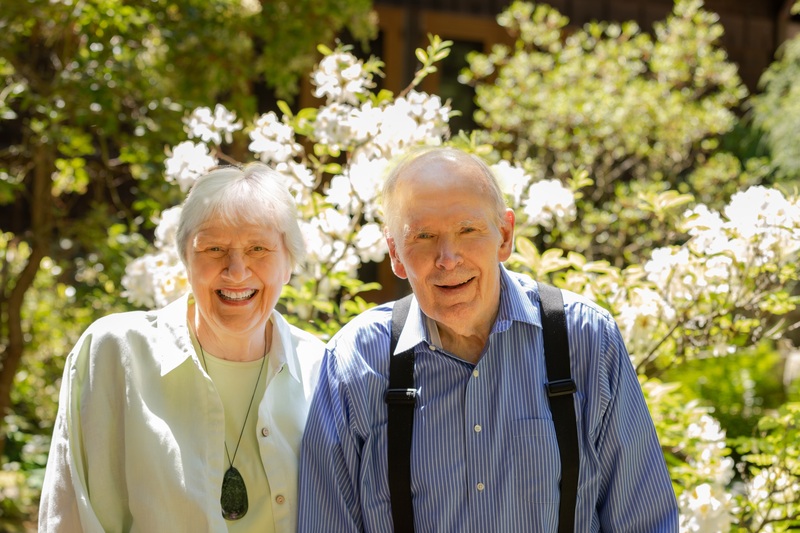 And his generous support for the UW, with his wife Margaret, has ensured that future generations of scientists will have the opportunity to continue to advance our understanding of biology and genetics. Ben was a decorated member of the faculty, named a Guggenheim Fellow and a Fellow of the National Academy of Sciences, and in 2004, the UW was proud to name him our first Inventor of the Year. Although he formally retired, it did nothing to slow him down. He remained a fixture at the UW where he continued to run his lab, conduct research and inspire the students under his wing, as well as his colleagues in the Departments of Biology and Botany and UW Medicine’s Department of Genomic Sciences. Ben’s legacy is monumental, but what I, and his colleagues remember most about him was his insatiable and fundamental scientific curiosity about everything from the building blocks of life to whole ecosystems. His life’s work is a testament to the power and importance of curiosity-driven research, and yet he was also a pioneer in translating basic research into commercial application at a time when many in the academic world were still skeptical of a pipeline between academia and industry. When he patented his method for producing genetically engineered proteins in yeast, he not only enabled the creation of vaccines against hepatitis B virus and the human papillomavirus, but he also helped foster a cultural shift that has profoundly advanced discovery in a host of disciplines. Ben was also a visionary philanthropist who took incredible joy from supporting the next generation of scientists, including support for cutting edge facilities, such as our new Life Sciences Building and the Benjamin Hall Interdisciplinary Research Building. 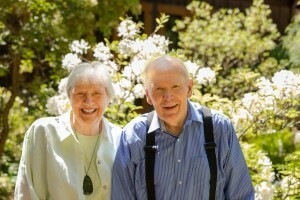 Through endowed scholarships, Ben and Margaret have enabled students in biology and genetics to pursue their passion and enabled faculty excellence through the Benjamin D. Hall Endowed Chair in Basic Life Sciences. Ben also cared deeply about international collaboration and his lab has become known as a hub of cultural and intellectual diversity. Our thoughts are with Margaret, their children, Anne and Charles, and all the people whose lives he influenced. Ben’s curiosity and generosity have enriched the world beyond measure and his legacy will live here forever.